S04E05: Herbert Hoover, American Nero? From his humble beginnings in the state of Iowa to a prosperous career in international mining, Herbert Hoover would become one of the most beloved figures of the early twentieth century. 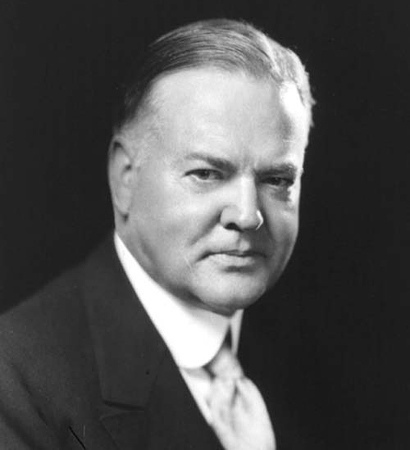 Using his personal wealth to feed thousands of people, Hoover was considered the ideal presidential candidate in the 1928 election. That year his victory would be so great it would be dubbed “a landslide,” and he appeared set to become one of the most popular presidents of modern time. In 1929 however that all changed as the Great Depression devastated the United States, and millions blamed him for the collapse. Now eighty years later many believe that Herbert Hoover did nothing as his country fell to pieces, however closer inspection changes that narrative in radical ways. On this episode we discuss president Herbert Hoover.